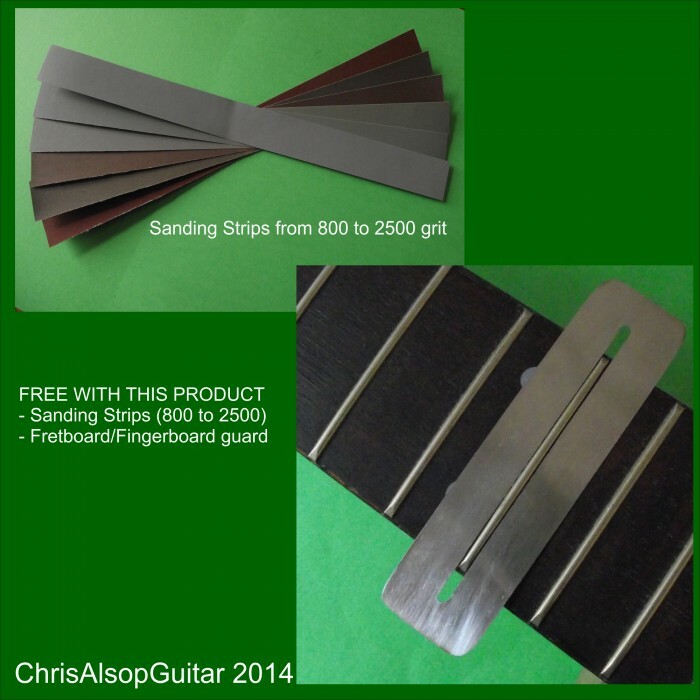 £40.37 set of two & FREE Delivery in UK. 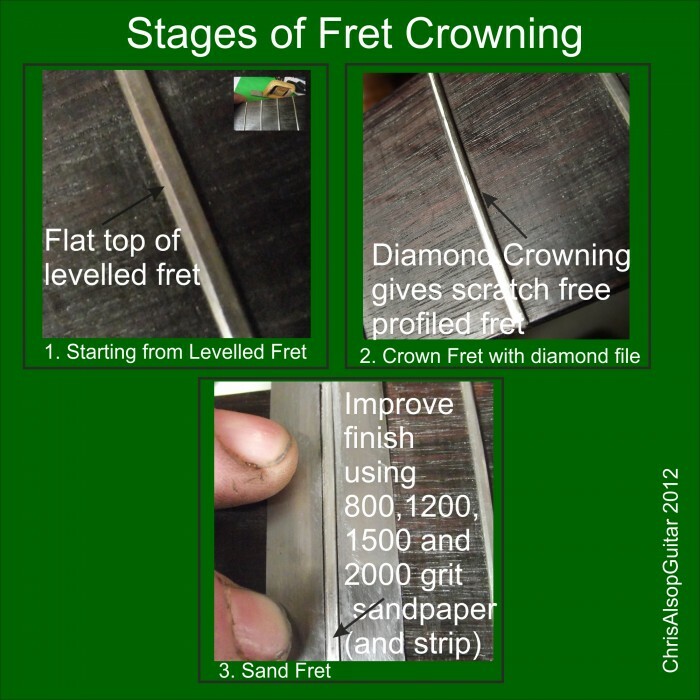 The diamond file itself is about 35mm long and can be 2.0mm, 2.5mm or 3.0mm wide. 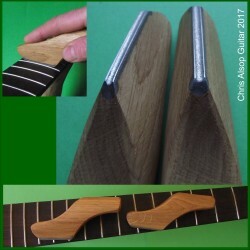 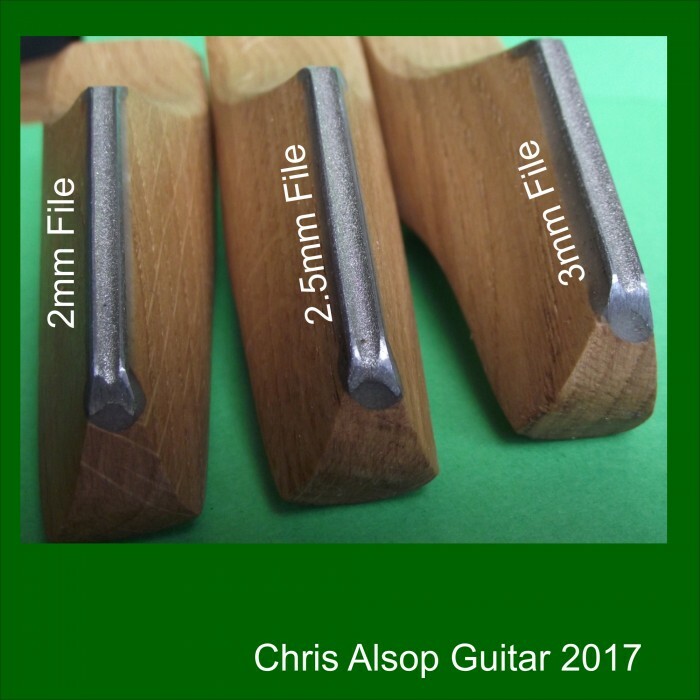 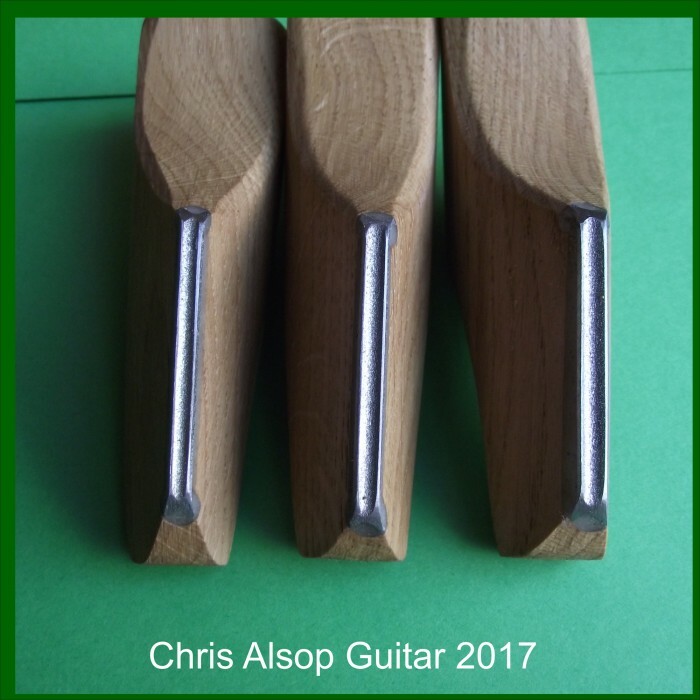 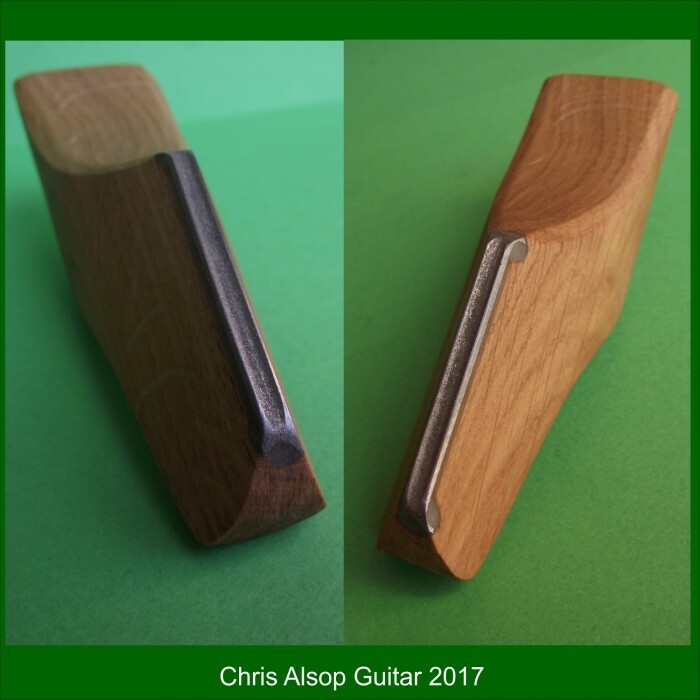 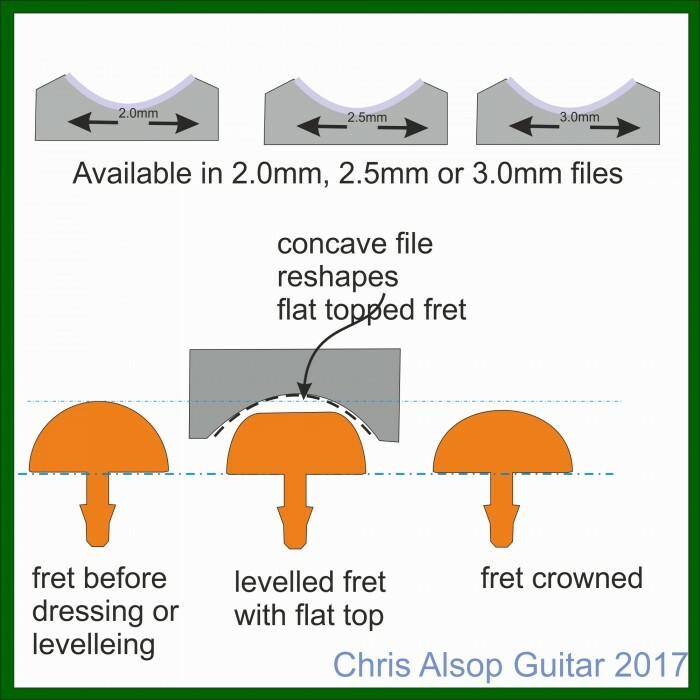 The files are concave to match the fret profile - when in use the file stays on the fret very well, there's no chatter.